Who has many awards, and was a part of the dream team? 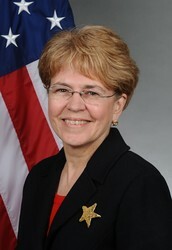 None other than one of the most important part of the climate scientist industry, Jane Lubchenco. This paper will tell you why she is an amazing scientist to learn about. She found many things out about the climate, she got the special role of being part of the dream team, and she is still alive today! So just sit back and learn about Jane Lubchenco. First, Dr. Lubchenco is an expert when it comes to atmosphere. Climate is probable the biggest thing she has researched. She has been a scientist for about 37 years. She researched climate for half of her career, 18 ½ years! she was born on September 3, 1949. Last, Jane Lubchenco is an important person to learn about because she researched a ton about climate, she is still alive, and she was a part of the dream team. Jane has won more than 7 awards for the science that she does. She has been scientist for 37 years.